In an incredible turnaround from last season, Panasonic Jaguar Racing have gone from propping up the field to a front-running team as Mitch Evans looked to be one of the favourites for the weekend and in the process took the team’s maiden podium, while Nelson Piquet Jr ensured both sides of the garage came away with points. 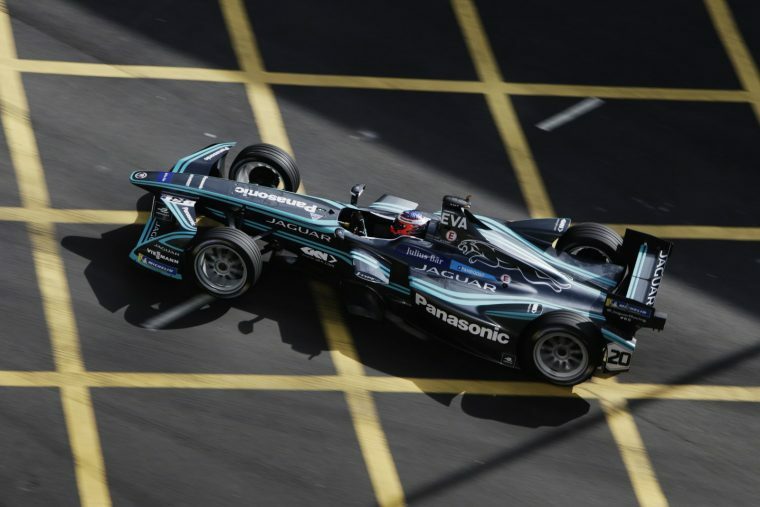 Panasonic Jaguar Racing welcomed season one champion Nelson Piquet Jr to its driver line up for season four, a move which proved itself positive as the Brazilian came home in fourth place in the opening race of the weekend, equalling the best result for the team in his first outing. There was promise on the other side of the garage as well, with Mitch Evans producing a surprising turn of pace by topping FP2 and heading into qualifying as a dark horse for pole position. It wasn’t to be for the Kiwi, as a timing error by the team meant that he failed to cross the line in time to start his 200kW lap, leaving Evans at the back of the grid and with an uphill struggle in the race. Sunday proved to be a more successful day for Evans, as he once again assumed the mantle of pole favourite but was pipped to the post by Mahindra Racing’s Felix Rosenqvist by a mere 0.054s. There was disappointment as his Super Pole lap was deleted for exceeding his maximum power usage, but his efforts were soon rewarded. A solid race to fourth pace consolidated the new-found pace of the Jaguar team, but Daniel Abt’s disqualification promoted the Kiwi to his and the team’s maiden podium in the series, while Piquet was stuck in a titanic midfield battle and came home 12th. It was a fantastic start to a new season with a new team for Nelson Piquet Jr, who proved himself to still be one of the fastest drivers as he piloted his #3 Jaguar to fourth place. Tenth on the grid might not have seemed much for the Brazilian, but in shades of his season one title campaign he managed his energy well and crossed the line in fourth place to get his and the team’s 2017/18 season off to a point-scoring start, less than three seconds away from a podium. 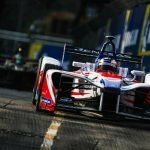 P12 on the grid for Sunday’s race set the tone for a race spent in the midfield for Piquet Jr, as ten seconds separated Nico Prost in eighth and Andre Lotterer in P13 following a close battle for the final points paying position. Amidst the close competition, Piquet Jr crossed the line in the same position he started in and left Hong Kong seventh in the driver’s standings. The apparent ace in the pack, Evans turned heads with his practice pace on Saturday, as he went P2 in FP1 and fastest of all in FP2, entertaining thoughts of challenging for pole position. 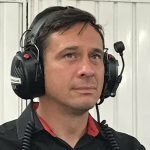 Anticipation grew for Jaguar’s first Formula E pole, but a timing error meant that the Kiwi was unable to start his 200kW lap in time and subsequently started from the back of the grid. The 23-year-old made good progress through the field but 12th across the line was all he could manage in a tightly-contested midfield battle, proving the pace of the I-Type II in the face of adversity. Evans’ pace carried through into the second race day of the weekend as once again it appeared that pole position was achievable, but on this occasion there was no stopping the Mahindra Racing of Felix Rosenqvist, who beat the Kiwi to pole by a slender margin of 0.054s. Jaguar soon lost their first front row start as Evans’ Super Pole lap was deleted for exceeding the maximum power usage and had to settle for P4 on the grid. While unable to keep up with Edoardo Mortara and Daniel Abt ahead of him, Evans kept his head down and looked on for a podium place before Rosenqvist came through for third in his own recovery special. The Kiwi crossed the line fourth, but after Abt was disqualified from the race results he and Jaguar started to celebrate their first ever podium finish in Formula E.
The podium elevates Evans to sixth place in the driver’s standings, while Jaguar enjoyed a fine season opener to lie fifth in the team’s standings.